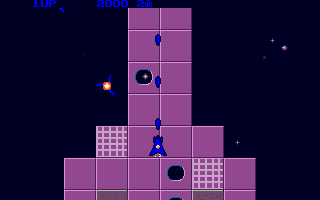 little shootemup into a summer stupefied Atari scene. from his boyhood, or something? looking data files, and an executable 'rungame.prg' which looks promising. 'rungame.prg' executable. The program then loads and you are ready to go! The  author  tended  to  be cautious about  the  subject  of  compatibility. mhz, the game loads a lot quicker on the faster system, but that is all. even 'Raiden', but as a shootemup, it does work. you will spend a long time over beating even the first level.